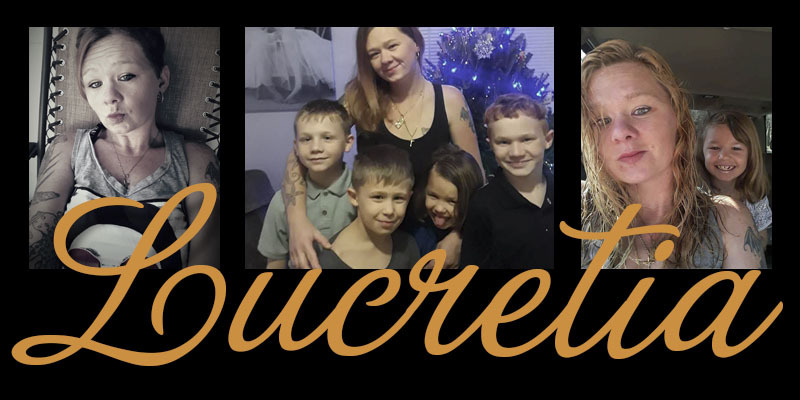 A big welcome to my friend Lucretia as the newest official member of the Tattooed Moms Club! I met her through my husband about 7 years ago when she and her husband came into the shop he was working at to get tattooed. She’s a HUGE lover of kids and has a heart of gold. Read on to learn more about her! Born and raised in NC, corn field town. I left at 16 and took on the world and made Cleveland my home for 13 years now. Oh my kiddos.. I have 4 biological ones. 3 boys, one girl. They are my entire world. Don’t tell my daughter , but she is the instigator lol. I’m the neighborhood mom. Everyone loves me and my ink. I go with the flow. If my children don’t listen they lose their precious video games and barbies. Respect others and if they disrespect you, well we deal with it. I’m raising warriors . Of course. I just moved back from Florida where everyone was elderly. LMAO. You should have seen the looks in the grocery store. They don’t know I’ve got a heart of gold and would give anyone my last dollar. I have so many. Most of them are ocean themes and Irish stuff. I’ve gotten them from all over the country. I was 13. A homemade tattoo that said sparkle, because my eyes always sparkled when I cried. Singing and pretending I’m a detective digging up info on people. Aqua Live – it would be a bright blue green color. Thanks so much for sharing a bit of your story with us, Lucretia!! We’re happy to have you as part of the Moms Club!! All featured moms are part of the “Moms Club” and you can find all of their posts in the Moms Club category. Get to know the moms in the club – they’re all amazing! Next post Puff, Puff, Sip.